Featuring new material from his highly anticipated HoodieSZN album! Why See A Boogie Wit Da Hoodie? 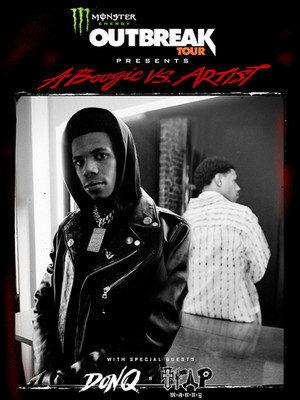 Hip Hop's new young rapper, A Boogie Wit Da Hoodie is hitting the road as the headliner of the Monster Energy Outbreak Tour. Kicking off in February, the tour will see Don Q and Trap Manny coming along for the ride, visiting a bunch of cities and sharing the stage with A Boogie. Make sure you don't miss this high energy outing before it comes to an end in April. 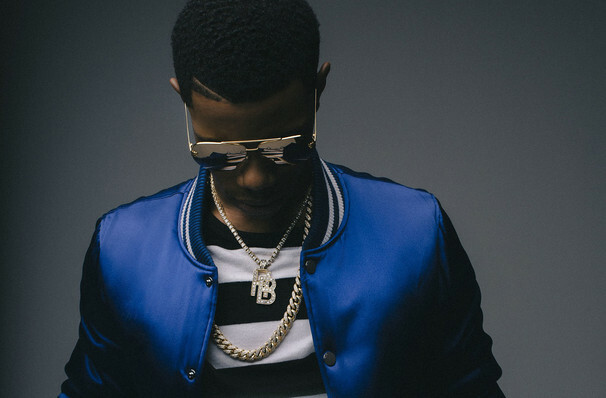 Rapper, singer and songwriter Julius Dubose, stage name A Boogie Wit Da Hoodie is still in his exciting early days, and his music gives fans a lot to be enthusiastic about. After his inception into the music industry with his 2016 debut mixtape 'Artist,' the rapper was on Forbes list of up and coming rappers to watch as well as being featured on the BET Hip Hop Awards cypher with fellow hip hop musicians Nick Grant and Kent Jones. Dubose's highly anticipated album HoodieSZN is dropping later this month, and features 6ix9ine, Juice WRLD, Offset and TBA. About Albany Theater: We are an independent show guide not a venue or show. We sell primary, discount and resale tickets and prices may be above or below face value. Sound good to you? Share this page on social media and let your friends know about A Boogie Wit Da Hoodie at Palace Theatre Albany. Please note: The term Palace Theatre Albany and/or A Boogie Wit Da Hoodie as well as all associated graphics, logos, and/or other trademarks, tradenames or copyrights are the property of the Palace Theatre Albany and/or A Boogie Wit Da Hoodie and are used herein for factual descriptive purposes only. We are in no way associated with or authorized by the Palace Theatre Albany and/or A Boogie Wit Da Hoodie and neither that entity nor any of its affiliates have licensed or endorsed us to sell tickets, goods and or services in conjunction with their events.